HSBC is developing a major new app called “Nudge” that aims to help people save money by keeping track of their everyday spending. The high-profile development was actually born out of a simple exercise between HSBC’s new digital chief and his wife. “My wife used to leave Post-It notes on the fridge, nudging me not to eat the rest of the desserts in the fridge,” said Raman Bhatia, head of digital UK at HSBC in an interview with Business Insider. Nudge sends tailor-made notifications to users on their spending habits, telling them how much they are spending on a day-to-day basis and comparing it to past days or similar people. 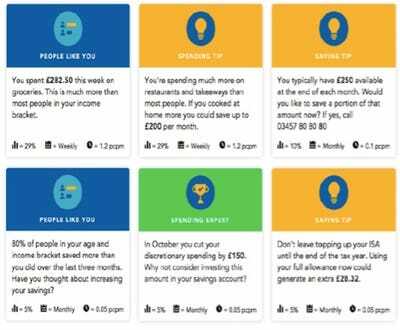 For example, it can tell you that today you spent £25 ($36) more on food than you did last week, or that you have spent £50 more on coffee in one week than someone else in the same age or demographic does. 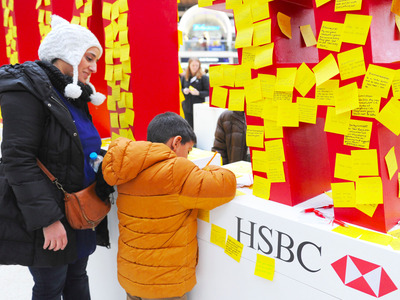 The idea is to “encourage customers to make small, regular financial decisions that will result in a change to long-term spending habits,” says HSBC. HSBCExamples of the notifications you would receive from the Nudge application from HSBC. The app took around 6-8 weeks to build and was trialled with 500 HSBC employees over a 3-month period at the start of the year. 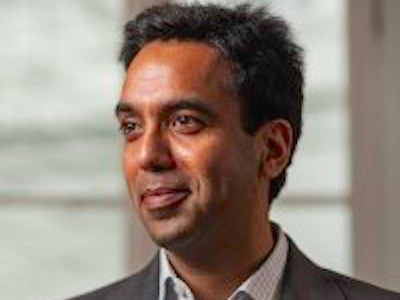 Bhatia added that the feedback from the pilot scheme of Nudge was “overwhelmingly” positive and says the more personalised the notifications are, the more the users saves money. “We deliberately tried to be ‘nannying’ with the notifications and the users of the app found that the more highly personalised the messages were, the more people were acting on [notifications]. For example, personalised messages [that had greater effect] were like ‘if you spend this much on coffee, you will not meet your saving goal,’ rather than ‘you are spending a lot of money on coffee,'” said Bhatia. HSBCRama Bhatia, Head of Digital, UK at HSBC. It is with this in mind that Bhatia and his team are making tweaks to the app before a public roll-out to HSBC customers. Nudge is potentially a big deal for HSBC, which is currently a lot less prominent in the fintech — financial technology — sector than other banks, many of which are ploughing huge amounts of investment into more esoteric concepts such as blockchain, the technology that underpins bitcoin. While not as flashy, HSBC’s tech developments are helping customers, says Bhatia. For example, HSBC claims it has saved retail customers over £100 million by automatically signing customers up to text message alerts that tell them if they are over their agreed lending limits. Usually, if a customer breaches an agreed overdraft limit, they are charged a £5 penalty per day they remain over the limit. This can sting you at the end of the month if you don’t check your balance regularly. But the text from HSBC notifies the customer to the breach and if they deposit the relevant funds to take them back into their agreed limit they can avoid the charge. As for Nudge, Bhatia is tight-lipped on the actual launch date. He didn’t even give what quarter or year the bank is working towards for a full launch. HSBC customers will have to wait for now.